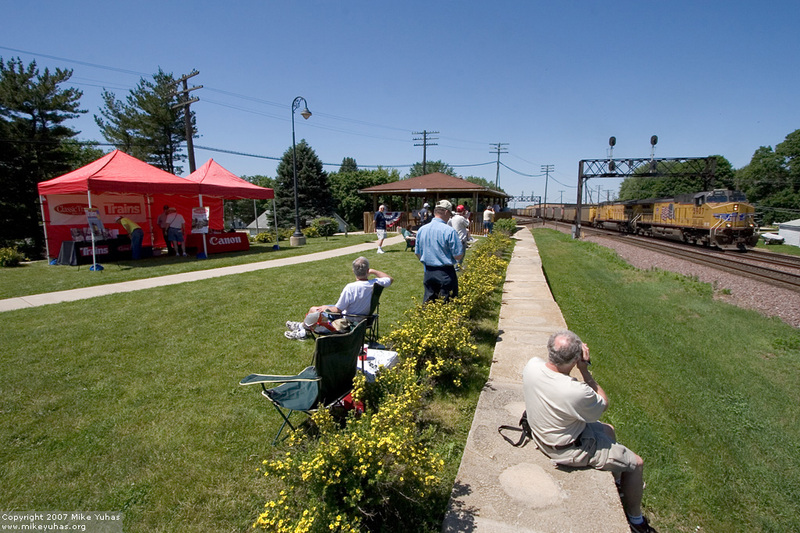 Rochelle, Illinois, is ground zero for railfans in the midwest. The city held a Railroad Days festival on June 9 and 10, which attracted legions of fans to the railroad park. Among the exhibitors were Kalmbach Publishing Co. (my employer), which was hawking magazines and the like; and Canon USA, whose tent was loaded with camera gear. Whenever a train came through, everyone in the park (us included) dropped what they were doing and watched and photographed.